Hi friends! I have a fun new Daily Calendar Pack for you today. This includes all of my calendar printables in one bundle! It makes tracking daily items fun and colorful! What day is today? What was yesterday, today, and tomorrow! 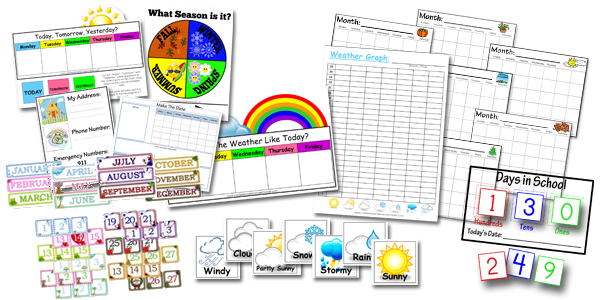 Weather graphing, daily and monthly sheets. Here’s a sample of what your bulletin board might look like. This is just on a 2×3 cork board and everything is held on using push-pins. 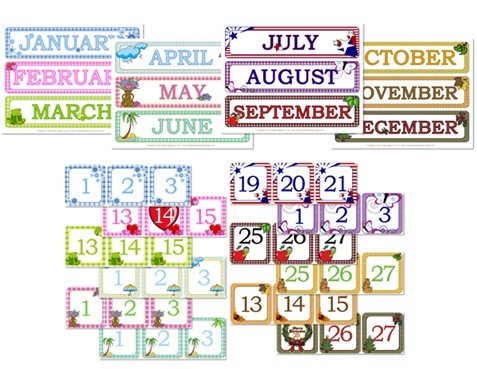 Gingham Calendar dates and monthly headers. 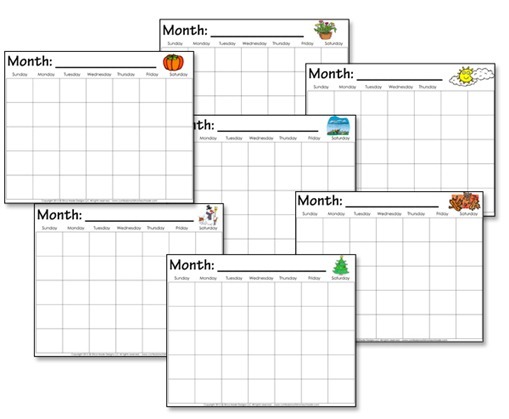 Blank Calendar Pages for all 12 months! 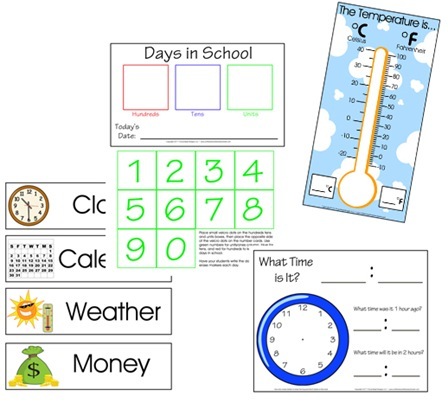 Calendar, Clock, Weather, Money daily assignment sheets and temperature tracking. Laminate each for reuse! 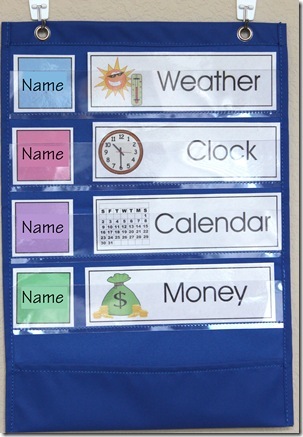 Blank name cards and header strips to show which thing each person is responsible for that day/week. 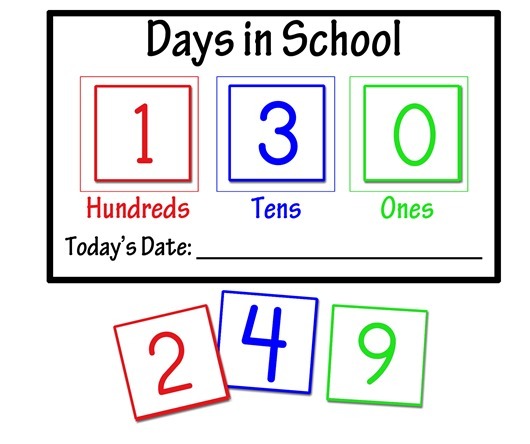 It also includes the Days in School tracking number printable as well. 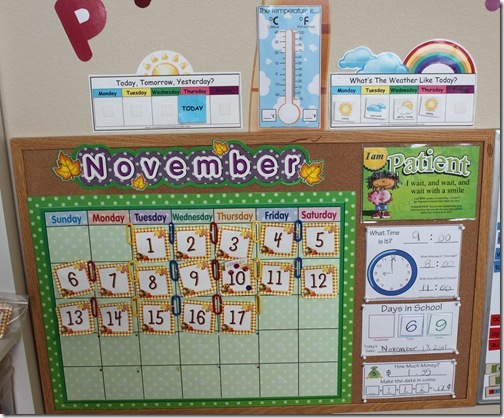 I laminate this and use small Velcro dots so students can easily change the number of days each day. Then use a dry-erase marker to write in the date each day as well. 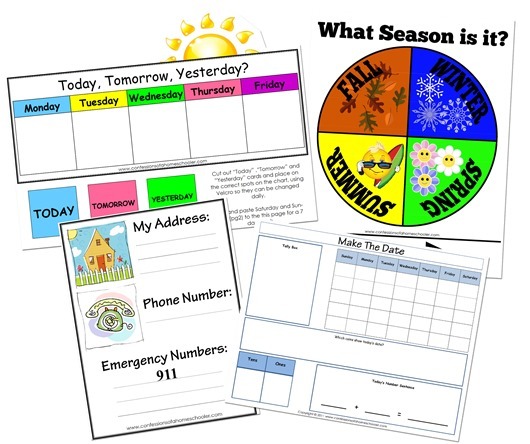 Seasons tracking printables, and a What day is today? 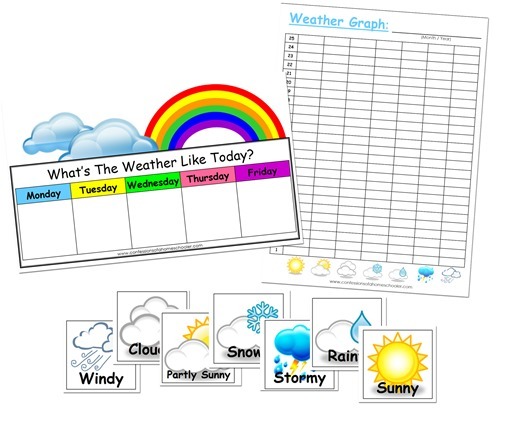 printable to track yesterday, today, and tomorrow! It also includes a “Make the Date” sheet to track the date, and a “My Address and Emergency Numbers” printable.